The trouble with technology is not the technology itself but the ways technologies affect consumer behavior and expectations. As the foregoing examples illustrate so dramatically, it is not a matter of just supplementing old retail designs with new technologies, but adapting the entire value proposition at point of purchase to technology-driven cultural change. 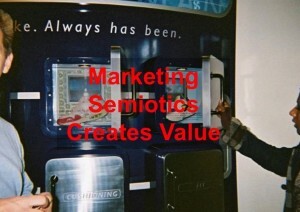 To resolve these tensions, the Marketing Semiotics company uncovers the cultural implications of new technologies for consumer behavior. This work helps management align brand strategy, new product development, and customer service to emerging social and cultural trends associated with technology. 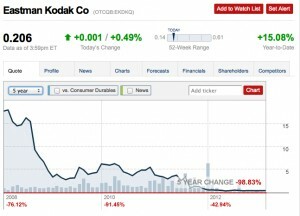 Kodak is a case in point. Kodak enjoyed universal brand recognition and superior perception of quality in 35mm photo imaging. The growing popularity of digital imaging put them out of business. It was not for lack of technological know-how, since the Kodak company invented the digital camera in 1975, and developed sophisticated digital imaging technologies for use in industries such as medical research. However, management failed to anticipate the impact of digital technology on their consumer market. Like Borders, Kodak was blinded by its past success, and viewed digital consumer technologies as a sideline to their traditional 35mm business. Kodak erred when they simply supplemented their 35 mm product line with digital products, rather than changing the brand proposition in line with emerging cultural trends in photo imaging. Digital technologies created consumer expectations for immediate photo imaging, paperless photo storage, and on-line sharing. These needs were signs of profound changes in consumer lifestyles, socialization, and self-representation at the end of the millennium. These cultural trends, rather than digital technologies themselves, outdated Kodak’s core equities in superior quality imaging and paper destined to last a lifetime in the hardbound photo album.